With free Wi-Fi, a quiet setting and good breakfasts, Robertson Guesthouse is a short walk from Edinburgh Castle, the Royal Mile, Holyrood Palace, and Princes Street. A jewel on the unspoiled south coast, this boutique guesthouse offers a peaceful retreat and features magnificent views across the valley of Lombada dos Cedros and the Atlantic Ocean. 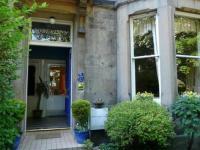 The Menzies Guesthouse is just a 10-minute walk from Edinburgh Castle and Princes Street. It offers rooms with TVs and free Wi-Fi, an open buffet vegetarian breakfast and free parking. Located in heart of Scarborough. 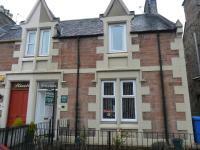 Comfortable, spacious bed & breakfast accommodation at reasonable rates. Free Wi-Fi. Free parking. Pets welcome. Nice restaurants nearby. 5 min. walk Peasholm Park, beach/ seafront North Bay, Scarborough town centre, Open Air Theatre, Stephen Joseph Theatre, harbour, Scarborough Castle, South Bay, Olivers Mount, cinema, Scarborough Sealife Centre, Scarborough train station.